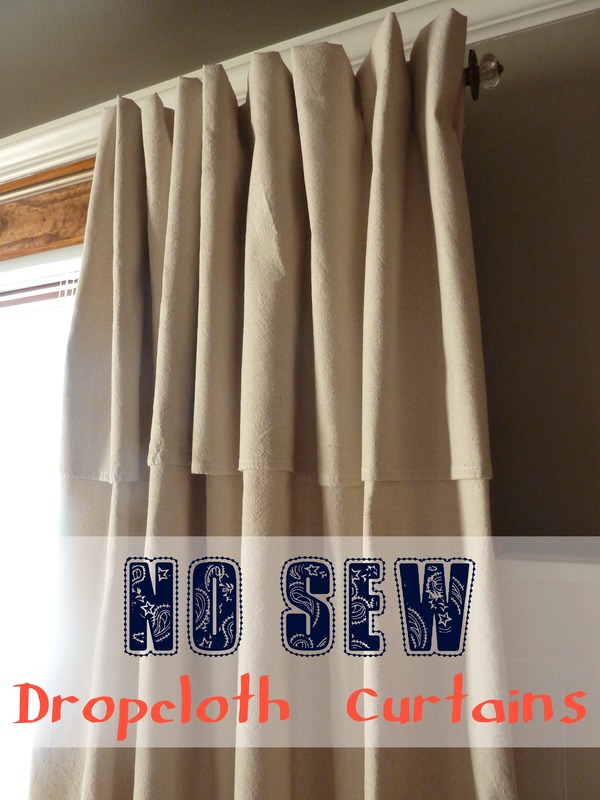 When J-Boom and $herdog of Young House Love challenged the internet to a thrift store challenge, I immediately (basically) began combing the G-Rap thrift stores for some sweet finds to share. And they did not disappoint. Before I dive in and share my spoils, however, allow me to explain (or, you could just read their post on the challenge here). The challenge was issued because of a little song that’s become popular lately…Thrift Shop by Macklemore. It’s a really catchy song, which is somewhat unfortunate since it is pretty salty (don’t worry; I linked to the clean version). Anyway, I had “$20 dolla in my pocket,” I dressed in traditional thrifting garb, and I headed out on a mission with cameraman Ken. Apparently traditional thrifting garb includes an eskimo coat and shades. Here is spoil #1. Mercury glass? Only $2? With the original $19.99 pricetag still on the bottom? You had better believe I ran shrieking and flailing to the cash register (much to Ken’s chagrin at my antics). 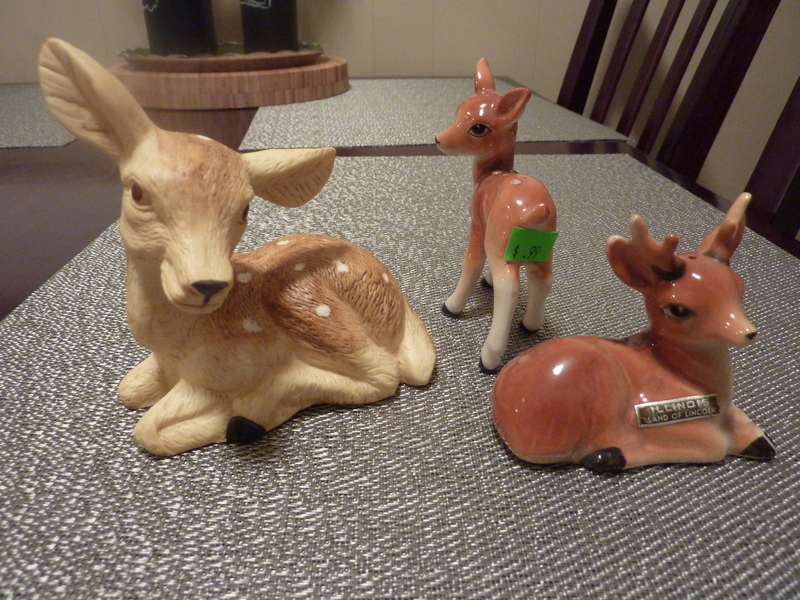 And then, at the next thrift store, I adopted a whole herd of these young fawns. You can already tell that one of them has been pretty mischievous, given the placement of his pricetag. The cost for these guys? Well, $.99 for the one in the back, obviously; her fraternal twin brother was also $.99 and that larger one was a $2.99 splurge. I’m going to let Kenny name them since he put up with all of my recent antics. 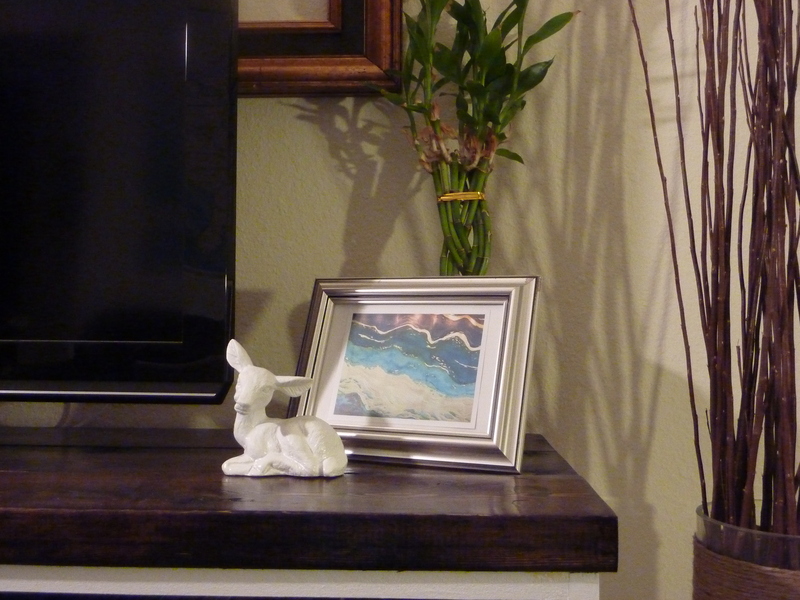 The more mature one got a spraypaint makeover with some glossy Krylon and has taken up residence near our TV. Ken was so embarrassed to be the designated photographer at this point, but since he took the picture anyway, I think he really loves me. 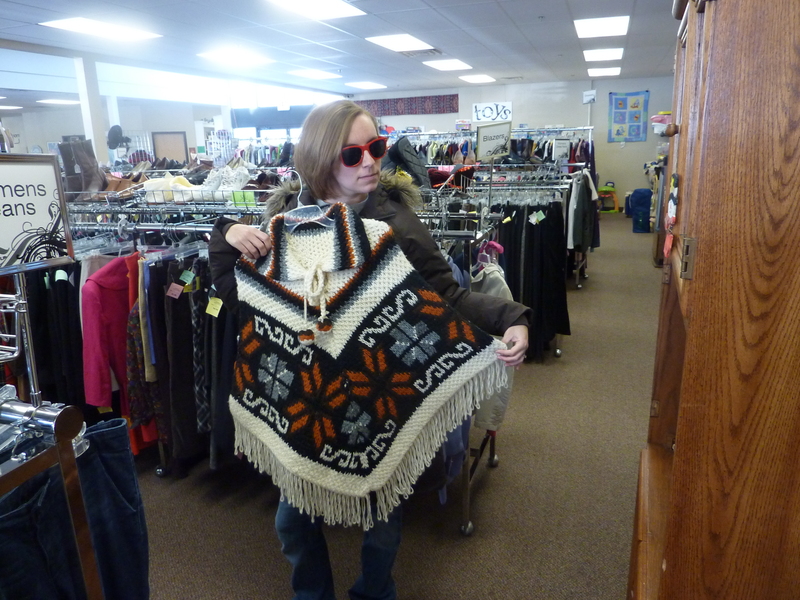 And sadly, the fringe-y poncho stayed at the thrift store for some other lucky shopper to find. Ken would probably never have spoken to me again if that thing had come home with us. Bonus points to whoever name the very vaguely referenced song in this post title. And no, I never should have paired these two songs. I realize that, but I did it anyway. Categories: Great Deals, Home Decor, Shenanigans | Tags: ceramic deer, Krylon glossy spraypaint, Macklemore, mercury glass, poncho, Thrift Shop, thrifting, vintage fawns, Young House Love | Permalink. I’m sad I missed you last night! We can still talk blog whenever you’d like! Is the song “As the deer”? I love thrifting too! Great finds! How cute are those fawns!! That is hilarious…mischievous fawn. Your thrifting garb is awesome, I gotta say! Ohhh, I can’t wait to see what you found!!! As the deer panteth for the water, so your soul longs? You got it! Haha. Missed you too…but it took me 45 minutes to get home so I think I made the right choice, albeit a sad one. Love the G-dub spoils! The poncho is classic thrift. 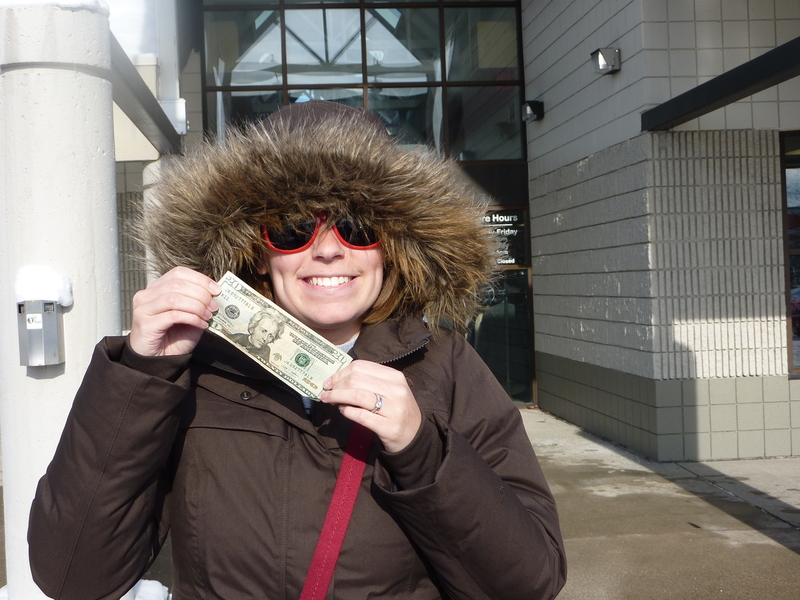 Apparently we are long-lost thrifters…my $20 photo looks a lot like yours, complete with Eskimo fringe. 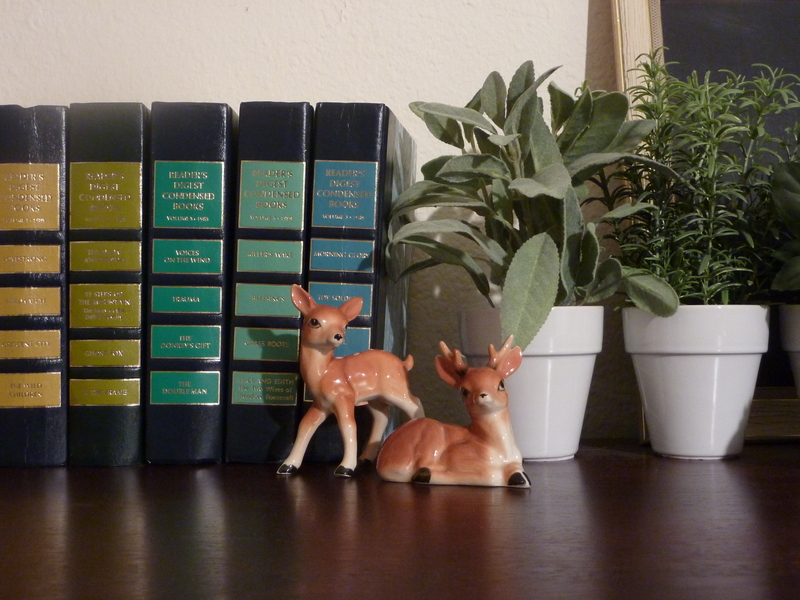 Those two little deer look quite happy in their new home! Your “fawna” photo reminds me that I need to beg my mom for all her old Reader’s Digest books! Yes! They are my current favorite books…simply because of the colorful covers. that fawn in white looks awesome! Yeah! Deer! Very cute, what a lucky find! 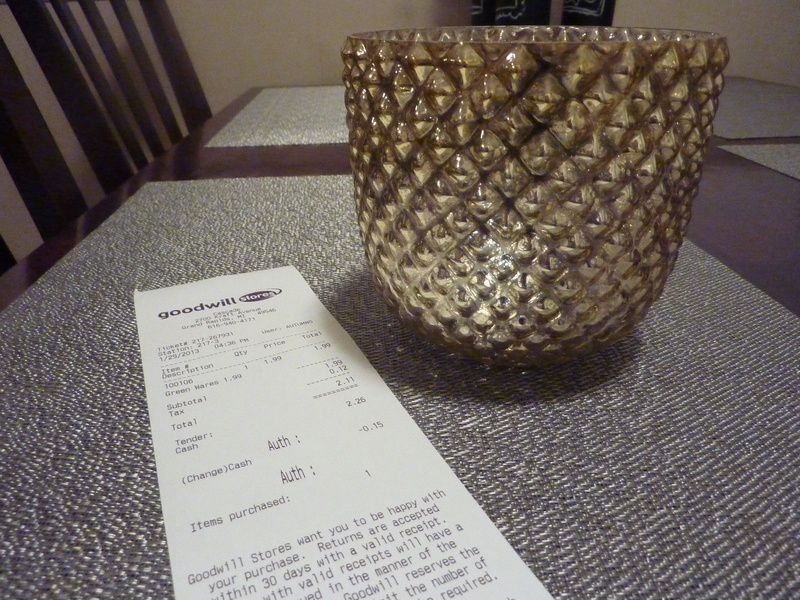 I would be running and swatting away other people upon finding that mercury glass vase. Nice work! Great finds! I’m jealous you had a photographer. My husband has a thrift store phobia. fawna… ha! i see what you did there! too cute! love that you painted the larger one a classy white. great finds. Awesome finds! I love the visual of you running to the register with your spoils! 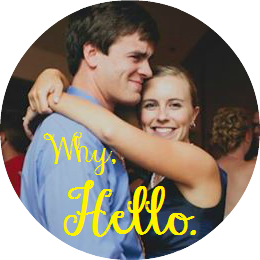 Glad to have found your blog via YHL!